Dalam video ini , i will show you some great shopify busineses that are successful ,which making over 1million usd per month.Hope this video can inspire you to be brave and start up your online business. This shopify business Launched in 2013 with $5000, now earning $20 million in annual revenue. After surviving nearly 10 straight years of net losses, they revived their earnings with $4.1 million in gross revenue in 2016. An initial $20,000 investment turned into a 7 figure business in annual profits. Most Successful Shopify Stores #2: Death Wish Coffee Co.
Why They’re Successful: After winning a free commercial slot during the Superbowl, they earned $2000 in revenue per minute. $128 Million in Revenue . 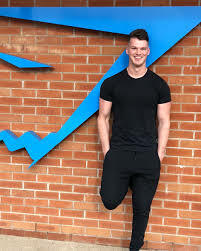 Founded by a then 19-year-old from his mother’s garage, Gymshark has the starting story of true entrepreneurial hustle and grit. Tags: USD 1000000 Every Month ! KEDAI SHOPIFY YANG SUCCESS ! Previous 5 Online Home Business for Beginner .